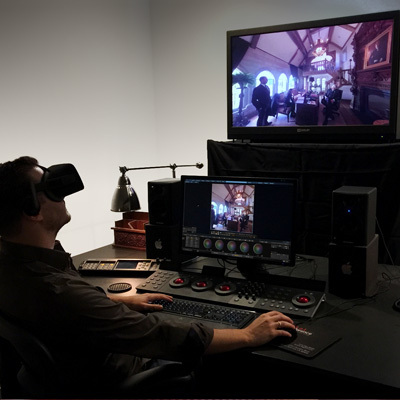 True Immersive Post Production – now accessible to everyone. SCRATCH VR supports all major headsets. Grade, composite, review - in 360, 180, mono, stereo, single view, dual view, immersive view - Live view - Any view! On heavy iron or just your laptop. On Windows and OS X.
Grading and compositing an equirectangular image require specialized tools. The toolset in SCRATCH VR makes a sky-replacement or object removal in 360 just as clean and easy as in any regular 2D production. Always directly viewable in your headset, in the framerate and resolution you require and including (Ambisonic) audio to produce the full VR user experience you want your viewers to experience. Capture camera input from ZCAM, HLS stream or generic SDI input, stitch in realtime (ZCAM and HLS capture only), grade and paint in realtime, add still or animated overlays, add and sync external (ambisonic) audio, stream out again to Facebook/YouTube or custom streaming server. SCRATCH VR Live is a broadcast station in a box. 360, 180 mono/stereo, in any resolution. • You start by taking the full Dailies and Finishing toolset from SCRATCH (see here) and then you integrate VR into its core. • Because of the most interactive interface and fastest toolset around, SCRATCH VR is ideal to maintain a true immersive experience during the creative process. • Output in any format / resolution (h.264/5 up to 8k) to file or directly to FB/YouTube. • Each view (primary, second/split) has its own 360 switch to view both spherical and flat at the same time. • PanZoom tool for easy navigating in 360 view when no headset attached. • Create (free form) video layers that auto wrap in 360 so you do not create visible seams. • Multiple stereo workflow: use direct over/under or side-by-side for quick setup or use stereo-node for easy comp/grading. • Convert 2D image to equirectangular to include as filler/matte elements in a 360 or 180 equirectangular composite. 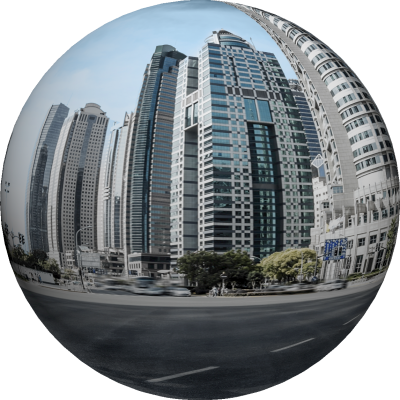 • Adjust and animate camera position in spherical projection to create motion inside the sphere. • Live review/broadcast: including live stitch, realtime grade/comp, stream out. • Create 2D version by creating animation pan in 360 sphere. • Stream out directly to FB/YouTube or custom Stream Server. OS: Windows 7 / 10. OSX 10.9 and up. CPU: Any modern Intel or AMD processor. Preference for Intel i7 Quadcore equal or up. GFX: Any modern graphics card. Preference for high end graphics: NVIDIA Quadro / AMD Radeon PRO. Note that on systems with standard Intel graphics not all features might be supported. RAM: Min 8Gb. Preferred 12Gb or more. Headset (optional): Oculus, Vive + any headset supported through the Steam VR engine. SDI (optional): AJA, Bluefish444, Blackmagic. See detailed system requirements here. • or read this article with more details on the various features. SCRATCH VR Suite which bundles SCRATCH VR and SCRATCH Web making the sum more than its parts. The SCRATCH VR Suite contains an annual SCRATCH VR license and a one year SCRATCH Web (basic) account - $1,795 USD. Each license comes with full access to the latest version and all updates of the software, as well as access to our technical support team. To upgrade an existing subscription or license of SCRATCH, please contact ASSIMILATE: licensing@assimilateinc.com. Note that a permanent license comes with 1 year of support. After the year you can continue to use the software but to be eligible to further software updates or contact to our technical support team, you need to extend your support contract.